The Historic Anchorage Hotel, where elegance is ageless. Located in the heart of beautiful downtown Anchorage, the hotel is an elegantly restored and generously appointed property offering the most modern amenities including high-speed wireless Ethernet and Video On- Demand television, as well as a complimentary breakfast buffet and a friendly, knowledgeable staff that is second to none. 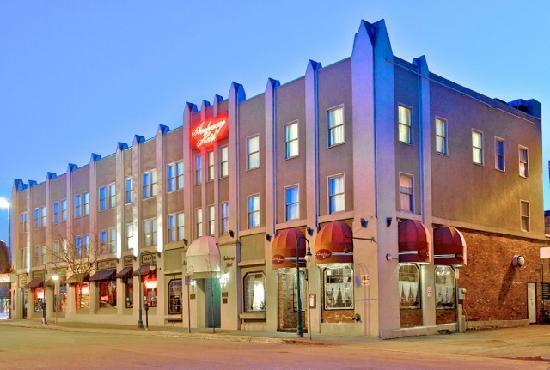 Listed on the National Register of Historic Places and with a longstanding tradition of exceptional service and value, the Historic Anchorage Hotel has long been one of the city*s central gathering spots. Corporate clients prefer our friendly yet professional atmosphere, while guests touring Alaska love our quiet European style. For great discounts and further information, please visit and book through our web site at www.historicanchoragehotel.com.